Grab your coloring crayons and use your creativity in these Phineas and Ferb coloring pages. Here you can print your free Phineas and Ferb coloring sheets of all your favorite Phineas and Ferb characters! These kids crafts are a lot of fun! and super easy to print! Simply click on the	Phineas and Ferb coloring picture you want to color and click the print button on the next page. A large version of the printable Phineas and Ferb coloring sheet will open in a new window. From there you can print the Phineas and Ferb color page with one click of a button. How about making your own coloring book with these Phineas and Ferb coloring sheets? 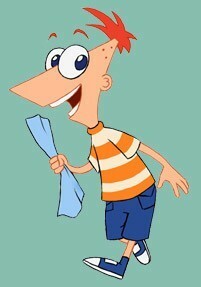 When you print out all of the pictures we have on this website, you can make your own Phineas and Ferb coloring book! Or you can share them with your friends, so cool!